Ethiopia arrested today five senior and junior levels officials from Benishangul regional state, in the western parts of the country, reported the state media, Ethiopian Broadcasting Corporation (EBC). 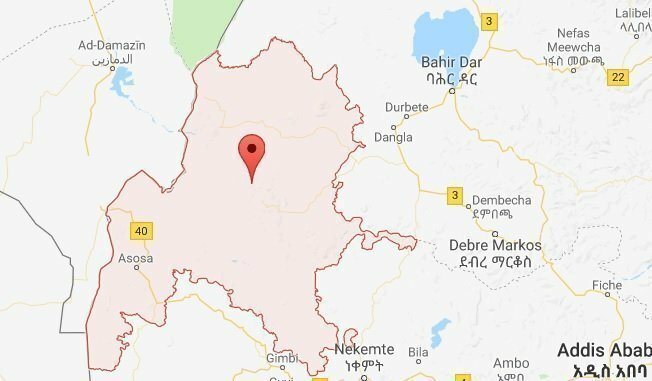 The Federal Police, as cited by EBC, says that the authorities are arrested in connection with violence in the areas adjoining western parts of Oromia regional state and its neighboring regional state to its immediate north western part of Ethiopia. Among those arrested following Federal Police Task Force’ operation in the region are former Assosa, capital of Benishangul regional state, mayor and the region’s administration and security deputy head. Last week, dozens of civilians and police officers were killed in Wollega areas adjacent to Benishangul for which no entities claimed responsibility so far. The Attorney general office disclosed yesterday that the violence that left many dead and displaced thousands of people is planned and coordinated with groups with a strong backing from unidentified bodies, not an artitrary violence with no purpose. National Security Council was more specific, although not calling names, in the statement it issued this week regarding the incident in the aforementioned areas. It sees it as a work of groups who lost privilege and power due to the political change in the country in the past seven months and the purpose of the violence is to reverse the reform process. Oromia regional state passed a resolution yesterday following a cabinet meeting and it disclosed its full support to the decision of National Security Council, one of which was to deploy federal forces in the region. The suspects arrested today are also linked to violence that happened in Assosa town in June of this year.